Abstract: This article provides a historical and pharmacological overview of a new opioid analgesic that boasts an extended-release (ER) formulation designed to provide both immediate and prolonged analgesia for up to 12 hours in patients who are experiencing acute pain. This novel medication, ER oxycodone/acetaminophen, competes with current US Food and Drug Administration (FDA)-approved opioid formulations available on the market in that it offers two benefits concurrently: a prolonged duration of action, and multimodal analgesia through a combination of an opioid (oxycodone) with a nonopioid component. Current FDA-approved combination analgesics, such as Percocet (oxycodone/acetaminophen), are available solely in immediate-release (IR) formulations. This article provides a historical and pharmacological overview of a new opioid analgesic that boasts an extended-release (ER) formulation aimed at providing patients who are experiencing acute pain both immediate analgesia and continued, prolonged analgesia for up to 12 hours. This novel medication, ER oxycodone/acetaminophen, competes with current US Food and Drug Administration (FDA)-approved opioid formulations available on the market in that it offers two benefits concurrently: a prolonged duration of action and multimodal analgesia through combination of an opioid (oxycodone) with a nonopioid component. Current FDA-approved combination analgesics, such as Percocet (oxycodone/acetaminophen), are available solely in immediate-release (IR) formulations. Figure 1 Chemical structure of oxycodone (left), physical appearance of the tablet form of ER oxycodone/acetaminophen (middle), and chemical structure of acetaminophen (right). Abbreviations: MW, molecular weight; ER, extended release. Oxycodone, or 4,5-alpha-epoxy-14-hydroxy-3-methoxy-17-methyl-morphinan-6-one hydrochloride, is an opioid agonist derived from the opium alkaloid thebaine.7 It is a schedule II controlled substance, with significant potential for abuse. IR formulations of oxycodone have long been available on the market for management of moderate-to-severe pain, with frequent dosing intervals – usually every 4–6 hours. ER formulations of oxycodone, though not in combination with acetaminophen, have offered the advantage of longer dosing intervals and thus the convenience of less frequent dosing.1 Opioids often are supplied as a combination pill including a nonopioid analgesic, most commonly acetaminophen. The main goal of this multimodal analgesic regimen is to achieve therapeutic benefit while using reduced doses of each individual medication in order to minimize toxic side effects.1 The combination of oxycodone and acetaminophen in IR formulations has a long-standing history of therapeutic use for moderate-to-severe pain.1 Due to the short-acting nature of the IR pill, it again requires frequent redosing every 4–6 hours, similar to IR oxycodone alone. The oxycodone component of ER oxycodone/acetaminophen contributes to the majority of the medication’s pharmacodynamic effects on the various organ systems listed in Table 1 (summarized from http://www.rxlist.com/xartemis-xr-drug.htm). The pharmacodynamic profile is similar to that of other opioid medications. Several pharmacokinetic studies were conducted comparing ER oxycodone/acetaminophen with commonly used IR opioids, such as Roxicodone (oxycodone hydrochloride as a 5 mg, 15 mg, or 30 mg tablet), Ultracet (tramadol hydrochloride 37.5 mg with acetaminophen 325 mg), and Percocet (IR oxycodone 7.5 mg with acetaminophen 325 mg). The study authors also investigated the crushed form of the ER pill and found that the crushed pill containing 30 mg oxycodone with 1,300 mg acetaminophen in ER form provided even more delayed subjective effects when compared with the crushed pill in IR form or the intact pill in ER form.9 This final investigation sought to address the attempts at chemical alteration, including crushing, of narcotic pills by substance abusers to improve the subjective effects. Therefore, the authors were able to demonstrate that the ER formulation does not present a higher addictive potential than IR formulations of oxycodone/acetaminophen. On the contrary, the ER formulation may actually prove less attractive to potential substance abusers in intact form or in chemically altered form. Chronic opioid exposure may cause secondary hypogonadism, with associated sexual dysfunction, infertility, mood disorders, and osteoporosis.11 ER oxycodone/acetaminophen should be used with caution in patients with adrenal insufficiency or Addison’s disease. As with all narcotic medications, tolerance, chemical dependency, psychological dependency, addiction, and substance abuse may develop with chronic exposure to ER oxycodone/acetaminophen.5,10 Reports exist of patients crushing, chewing, snorting, or injecting the dissolved form of the medication, which may result in the uncontrolled delivery of the oxycodone, overdose, and death.5,10 The potential for dependency or substance abuse should be assessed for each patient on an individual basis prior to administration of the medication. Surgical patients may develop decreased bowel motility postoperatively while taking opioid analgesics such as ER oxycodone/acetaminophen.7,10 Concomitant administration of a stool softener aids in the prevention of opioid-associated constipation. Pregnant patients should use this opioid medication with caution, since it is transferred across the placenta to the neonate. Parturients who must take the medication expose the fetus to the risk of neonatal withdrawal syndrome at birth and should be followed by a neonatologist in the peripartum period. ER oxycodone/acetaminophen is classified as pregnancy category C.
However, because of the potential for serious adverse reactions in nursing infants from ER oxycodone/acetaminophen specifically related to the oxycodone component, discussion between the lactating mother and her physician must weigh the risk-to-benefit ratio.15 The importance of the medication for the mother’s health needs to be taken into account and weighed against the importance of the continuation of breast-feeding. In short, the potential benefit should justify the potential risk to the newborn or infant. The oxycodone component of ER oxycodone/acetaminophen undergoes a significant amount of hepatic metabolism via the cytochrome P450 enzyme system.15 It may therefore contribute to interactions with other medications that are also metabolized by the same enzyme group. Below is a further delineation of the specific isoenzymes within the P450 system that may contribute to drug–drug interactions, specifically isoenzyme CYP3A4 and isoenzyme CYP2D6. Medications that inhibit this enzyme’s activity could potentially impede the clearance of oxycodone, which is metabolized to a significant degree by this isoenzyme.15 This may in turn lead to increased serum oxycodone concentrations as well as possible prolonged therapeutic effects of the opioid medication.15 Simultaneous use of other medications which may have inhibitory effects on the isoenzyme CYP2D6 may further amplify these interactions, with heightened risk of respiratory depression or excess sedation.15 Patients who receive ER oxycodone/acetaminophen along with another medication that inhibits cytochrome CYP3A4 or CYP2D6 require frequent monitoring, with potential adjustments in dosing until stable medication side effects have been assessed on an individual patient basis.15 Inhibitors of CYP3A4 metabolic activity are listed in Table 3. Medications that induce the activity of the isoenzyme CYP3A4 may lead to increased hepatic metabolism of oxycodone, and thus may result in increased clearance of the drug, as well as possible decreased therapeutic effect or in the worst case scenario symptoms of opioid withdrawal in patients who have been exposed to oxycodone long enough to develop chemical dependence on the medication.15 Similar to above, patients who are receiving ER oxycodone/acetaminophen along with a medication that induces the CYP3A4 isoenzyme should be monitored closely for symptoms of narcotic withdrawal or decreased efficacy, and dose adjustments should be made accordingly. Inducers of CYP3A4 are listed in Table 3. Several cardiovascular medications, including amiodorone and quinidine, as well as certain antidepressants inhibit this isoenzyme and could potentially decrease its metabolism of oxycodone to oxymorphone.15 Although the interaction has not yet led to reported clinically significant adverse outcomes, it may prove helpful to prescribers when selecting specific medications in concurrence with ER oxycodone/acetaminophen. 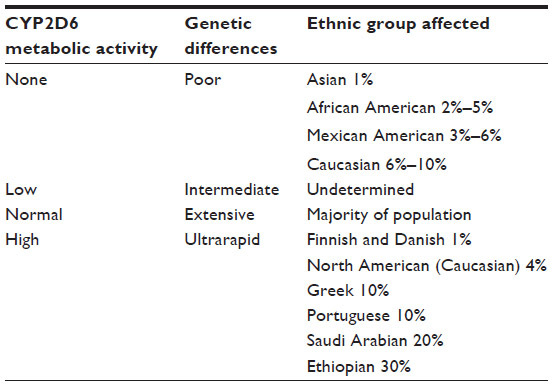 Several pharmacological studies have demonstrated that this isoenzyme is not susceptible to induction by currently known medications.19 Genetics plays a significant role in the enzyme’s metabolic activity, rather than induction, with significant ethnic differences in metabolism of certain medications.19 These genetic and ethnic variations are listed in Table 4. Because ER oxycodone/acetaminophen has a different pharmacokinetic profile from that of IR formulations of the medication, it is not interchangeable with other oxycodone/acetaminophen drugs.16 The frequency of administration as well as the peak effect of the medication becomes challenging to calculate when the various formulations are used simultaneously. Accidental ingestion of ER oxycodone/acetaminophen can result in toxic, even lethal, overdose of the oxycodone component, the acetaminophen component, or both, in infants or children.14 Extra caution should be used in storage of the medication to keep it out of the reach of young children. Emergency medical attention is required in the case of pediatric overdose, for treatment of oxycodone or acetaminophen toxicity. Narcotic withdrawal may be precipitated by sudden discontinuation of a mu-opioid agonist medication such as oxycodone after prolonged exposure, or by the use of an opioid agonist and antagonist at the same time. In patients who have been exposed to ER oxycodone/acetaminophen for a prolonged period of time, discontinuation of the medication should be achieved by gradual dose decreases of approximately 50% every 2–4 days.17 This gradual approach aims to prevent triggering an opioid withdrawal syndrome. ER oxycodone/acetaminophen is a novel opioid analgesic that extends the duration of action beyond that of currently available tablets that combine an opioid with a nonopioid analgesic. Its ability to provide IR and ER components for severe, acute pain is unique, and offers an excellent therapeutic advantage within an acute care setting. Yet, it also carries significant risks of adverse side effects, similar to many opioid medications. Therefore, patients receiving this medication on an outpatient basis must be closely monitored by a physician at regular intervals for assessment of side effects and for appropriate gradual dose adjustments. Caution must be exercised when this medication is used in special patient populations, such as those at the extremes of age, debilitated patients, those with specific comorbidities that place them at heightened risk of adverse medication effects, and pregnant or lactating women due to potential effects on the fetus or neonate. Further studies are needed to investigate the long-term outcomes, such as time to return of full function and duration of analgesic need, in postsurgical patients taking ER oxycodone/acetaminophen, and to also take a more extensive review of the efficacy of the medication for acute postoperative pain when compared with IR opioids. The author has no financial interest or other conflict of interest in the publication of this article, and is in no way affiliated with the pharmaceutical company Mallinckrodt. Devarakonda K, Morton T, Giuliani M, Kostenbader K, Barrett T. Steady-state pharmacokinetics of MNK-795, an extended-release oxycodone and acetaminophen combination analgesic: results from 2 active comparator studies. J Bioequiv Availab. 2014;6: 053–060. CDC/NCHS, National Ambulatory Medical Care Survey. Available from: http://www.cdc.gov/nchs/data/ahcd/namcs_summary/2010_namcs_web_tables.pdf. Accessed March 30, 2015. CDC, FastStats. Available from: http://www.cdc.gov/nchs/fastats/insurg.htm. Accessed March 30, 2015. Committee on Advancing Pain Research, Care, and Education; Institute of Medicine. Relieving Pain in America: A Blueprint for Transforming Prevention, Care, Education, and Research. Washington DC: Committee on Advancing Pain Research, Care, and Education; Institute of Medicine; 2011. Nelson R. Xartemis XR Receives FDA Approval: May Reduce Opioid Abuse; 2014. Available from: http://formularyjournal. modernmedicine. Available from: http://www.drugs.com/newdrugs/fda-approves-xartemis-xr-oxycodone-hydrochloride-acetaminophen-extended-release-cii-4015.html. Accessed on February 13, 2015. Available from: http://www.rxlist.com/xartemis-xr-drug.htm. Accessed on February 13, 2015. 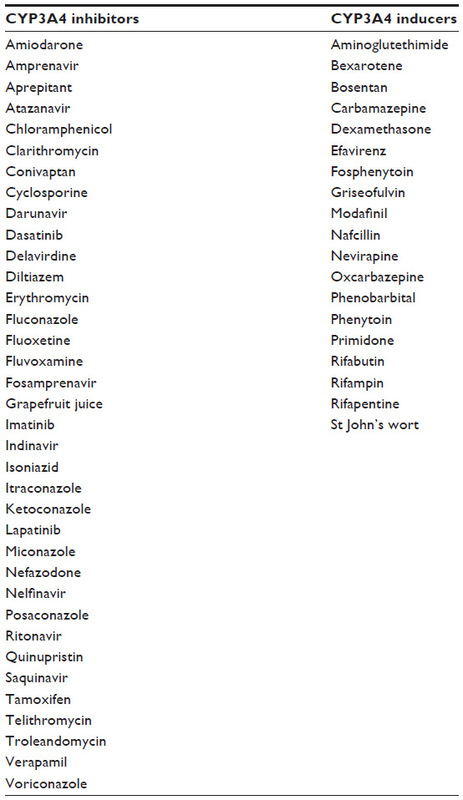 Available from: http://www.accessdata.fda.gov/drugsatfda_docs/label/2014/204031s000lbl.pdf. Accessed on February 13, 2015. Morton T, Kostenbader K, Montgomery J, Devaradonda K, Barret T, Webster L. Comparison of subjective effects of extended-release versus immediate-release oxycodone/acetaminophen tablets in healthy nondependent recreational users of prescription opioids: a randomized trial. Postgraduate Medicine. 2014;126(4):20–32. Available from: http://www.accessdata.fda.gov/drugsatfda_docs/./ 204031Orig1s000RiskR.pdf. Accessed on February 13, 2015. Brennan MJ. The effect of opioid therapy on endocrine function. Am J Med. 2013;126(Suppl 1):S12–S18. Debono M, Chan S, Rolfe C, Jones TH. Tramadol-induced adrenal insufficiency. Eur J Clin Pharmacol. 2011;67(8):865–867. Ahlfors CE. Benzyl alcohol, kernicterus, and unbound bilirubin. J Pediatr. 2001;139(2):317–319. Parker JW, Mehta R, Lehrfeld K, Manzo C. Risk Assessment and Risk Mitigation Review(s); 2014. Center for Drug Evaluation and Research. [Xartemis XR Application Number 204031Orig1s000]. Available from: http://www.drugs.com/pro/xartemis-xr.html. Accessed on February 13, 2015. Qiu W, Xu Y. 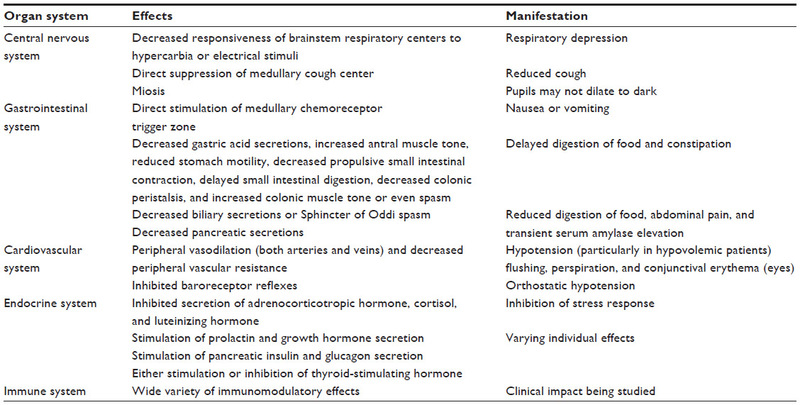 Clinical Pharmacology and Biopharmaceutics Review(s); 2013. Center for Drug Evaluation and Research. [Xartemis XR Application Number 204031Orig1s000]. 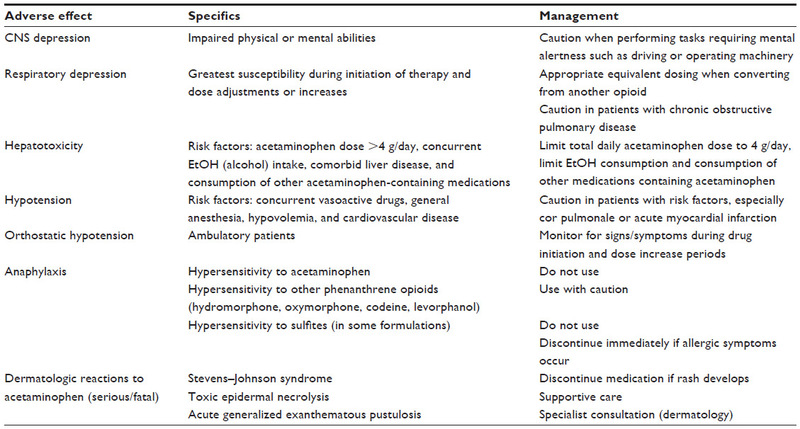 Kilgore E. Medical Review (s); 2013. Center for Drug Evaluation and Research. [Xartemis XR Application Number 204031Orig1s000]. Fields E. Cross Discipline Team Leader Review Addendum; 2014. Center for DrugEvaluation and Research. [Xartemis XR Application Number 20403 1Orig1s000]. Horn JR and Hansten PD. Get to know an Enzyme: CYP2D6. Available from: http://www.pharmacytimes.com/publications/issue/2008/2008-07/2008-07-8624. Accessed on February 13, 2015. Horn JR and Hansten PD. Get to know an Enzyme: CYP3A4. Available from: http://www.pharmacytimes.com/publications/issue/2008/2008-09/2008-09-8687#sthash.4OTK1ba4.dpuf. Accessed on February 13, 2015. Accessdata.fda.gov/[homepage on the Internet]. US Food and Drug Administration. Accessed on February 13, 2015.